In the past year or so, TJ and I have both gotten super into brain training. It’s kind of a win-win situation, because it obviously helps our brains to function well as we’re aging, and because most brain training games also happen to be pretty fun. 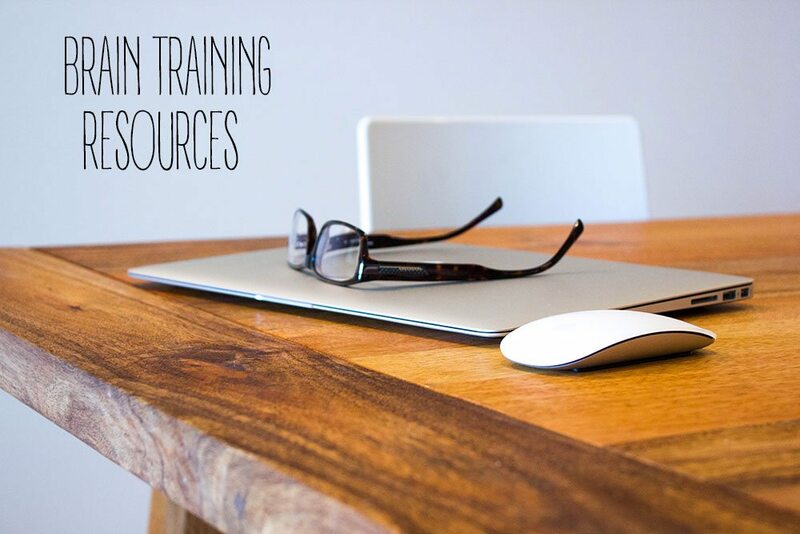 There are a lot of brain training resources out there, but today I’m going to talk about the two options (one’s a website, one’s an app) that I think are the best. This is NOT a sponsored post – I just genuinely like these products and want to tell you why I think they’re worth your time. Lumosity seems to be one of the most publicized brain training sites, and I think that’s for a reason – it’s great. There is a free, basic version of the site, that I (think) allows you to play three games per day, and they have paid subscriptions with more functionality as well. TJ and I purchased the family plan last year, which is $200 for 2 years, and allows you to connect up to 5 family members on one plan. With the paid version, you can play an unlimited number of games, and you also have access to weekly challenges and special brain tests. 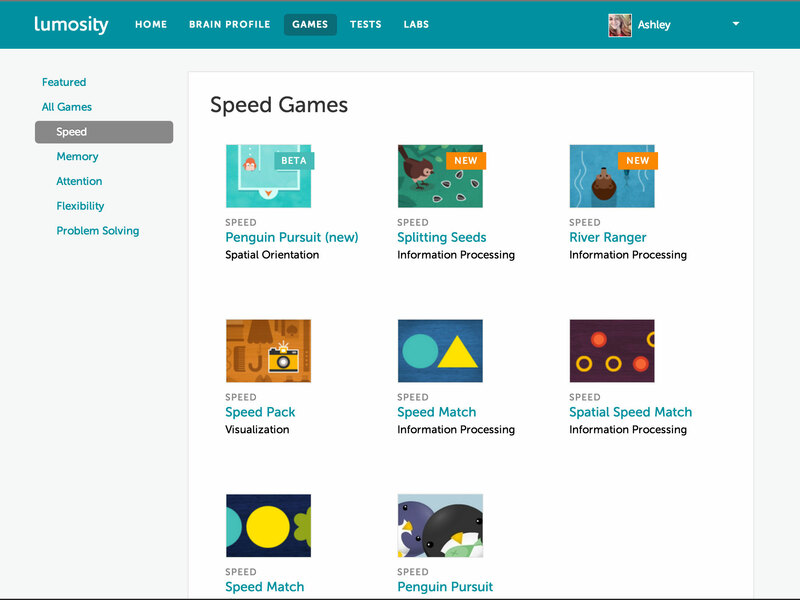 Lumosity offers a wide variety of games, and they add new ones pretty frequently. Most of them are a lot of fun (my favorite is called Trouble Brewing, where you have to complete coffee orders as they quickly come in), and honestly, I think I’ve noticed an improvement in my brain performance since we’ve been using it regularly. 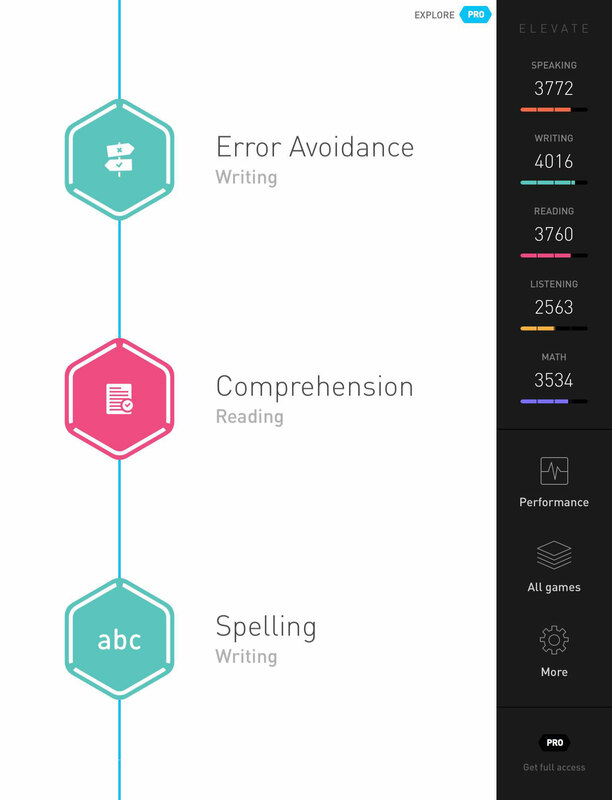 To be fair, Lumosity also has an app, but I think the user experience on their website is much better. For example, one of the weekly challenges is to complete three training sessions (aka 5 games), but games played on the app don’t count toward your three sessions, which is frustrating. Other than that, I don’t have any complaints about Lumosity – it is fun, worth the money for the paid version, and has everything you need to work out your brain. I’ve only been playing Elevate since January, so I don’t have as much experience with it as I do with Lumosity, but so far, I’ve been really impressed! First of all, visually, the app is awesome. Right now, I just have the free version, which allows you to play three games per day, but I think I’ll end up upgrading to the Pro version eventually. They have a lifetime membership for $150, which is a pretty good deal, so I think that’s what we’ll go with when we do decide to go Pro. The games on Elevate are really fun too (my favorite is an estimation game that gives you several dollar amounts and makes you choose an estimate of the total). Since I’ve downloaded the app they’ve added a few new games, and I think they’ll continue to do so. There are several games for each section of the brain like reading comprehension, math, listening, writing, etc, and I think the variety is great. Elevate is a free app, and playing three games per day only takes a few minutes, so in my opinion, there’s really no reason not to download and utilize this app. Have you ever played brain training games? Which apps or websites do you recommend for brain training?